Holidays can be stressful. I love celebrating Christmas with my family and friends, but all that love doesn’t keep anxious and neurotic compulsions from slipping into my holiday season. I try to keep things pretty simple. I don’t have to travel anywhere, I don’t buy tons of gifts and my social life isn’t exactly wild and crazy. Even so, I get the stress, every year, and the stress brings with it some stress-coping behaviors that really aren’t that helpful. Every year, I find myself binging on cookies. Every year, I imbibe too much wine. 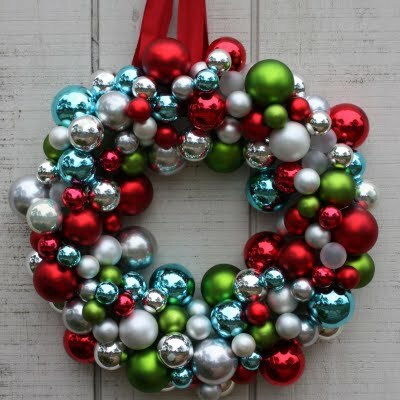 Every year, hours are wasted doing basically nothing on the computer while I soothe myself by looking at Martha Stewart crafts or etsy or all of the beautifully formatted photo book options that I might order for next year if I think of it ahead of time. I’ve come to recognize these particular behaviors as symptoms of being out of balance. I can do these things and be in balance and they have a totally different flavor, but when I’m holiday-stressed, I do these things out of a compulsion, like something else is taking over. I check out and don’t taste, don’t absorb don’t engage and then after the binging, I’m left feeling a little less connected and less in touch with the things I actually enjoy about the season. This year, I have a well-established daily yoga practice and I’m curious to see if there might be a little less of all of that binging on things tasty or electronic. I’ve noticed that with a yoga practice, I don’t move so quickly through things. I also just feel more. And when I move more slowly and am more tuned in to how I feel, I might have the tiniest bit of space to notice that I may be reaching for my 8th cookie, not because they still taste good, but because I’m not feeling very good, or I’m stressed or I’m overwhelmed or I’m attempting to avoid the thing I really could be doing. It’s a really big deal to take a few minutes every day to practice yoga. I think I had at least 5 false starts in the early years. I’d start to practice by recreating some class I had attended. I didn’t really know what to do and I worried that I wasn’t hard-core enough so I probably wasn’t getting much out of it so maybe I should give it up and wait till I was adequately hard-core. Then practice would slip away. Things changed once I got a great teacher and I found the kind of practice, the lineage, that makes the whole personal practice thing work. Having a teacher I can call and talk to and trust, and who is interested in supporting me in my practice, long-term, makes such a huge difference for me because I feel anchored. Also, the practice itself is really gentle and increasingly more subtle so it is less about exercise or fancy poses and much more about feeling and listening. It is very accessible, even on the days I don’t feel gung-ho. Because of the practice, I take time, every day to listen to what’s going on in my head and my body. I have something to do, so the practice has direction. It has intention and focus. And over time, it has developed into something sacred. It is time to honor this body I’m in, to move and to listen and to breathe. It sounds so simple, and I guess it is. It is also really amazing. What started as time to be in my own presence has come to include being in the presence of something sacred and divine. It’s an experience I’ve never really had before. So when I start to notice the familiar Holiday symptoms creeping up on me, I hope I’ll be able to call up the big, amazing feelings that practice offers. Maybe I’ll be fortified by the support of my teacher and practice. Maybe I’ll be able to slow down and feel what is really going on rather than blankly reaching for the booze, the sweet treats or the visual design beautifulness on the internet. For the times that I do decide to enjoy a bev or a cookie or good design, maybe I can savor and delight in the experience—really soak it up. And if I can do that with the things I look at, eat and drink, just imagine the possibilities for the time spent enjoying and connecting with loved ones and celebrating the season. Amanda, this really inspired me to get back to my home practice. I love how you point out the intention is to be with the body, and tune into what’s happening inside — it’s more subtle. I’m going to take this with me onto my mat in the living room. Thank You for this honest and thoughtful post! I can really relate to this, and it inspires me to keep up my practice – which is sporadic and short due to family obligations, but I’m going to keep trying. I have noticed that when I’m tempted to sit and veg out in front of the computer, it feels so much better to do a little yoga! You are SO special!! What a beautifully written reflection on the power of a personal practice!! So touching! Thank you!